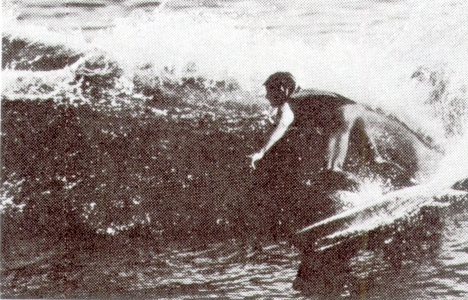 1970 McCoy Twin fin I 5 ft 7"
Foam blank with 1/8'' plywood stringer, Volan glassed with 1'' rail lap and rounded tail/deck patch, fin patches. Post production plastic conjute sail base? Extensive fin base repairs with cloth and body filler. Dimensions and photographs at Surf's Up At Gerringong Board Display, August 2005. 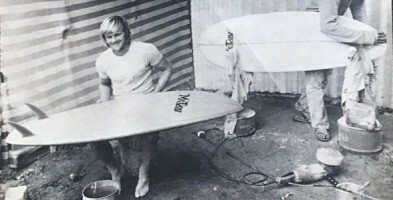 The design quickly dominated 50% of the Sydney market, notably by McCoy Surfboards. 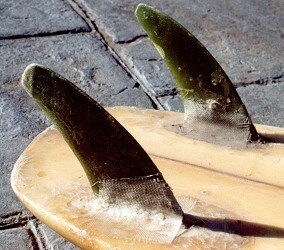 "the breakthrough that surfing has demanded for the last couple of years." Tracks December 1970, Number 3. Mark Warren on the cover. 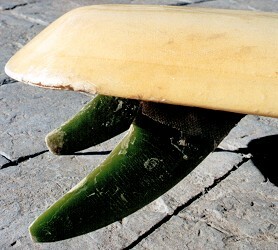 Fin Specifications - 5 1/4'' x 3 1/2'' base x 6'' span @ 5''. 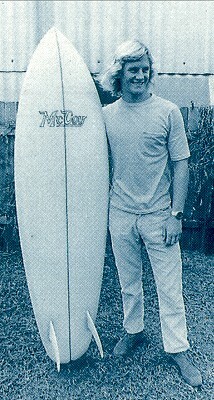 Mark Warren and McCoy Twin Fin 1, 1971. Originally printed in Tracks magazine, 1971. 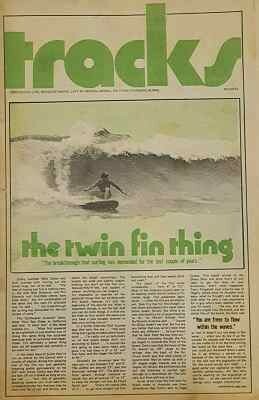 Originally printed in Surfing World magazine, 1971.